A group of prospective college kids, parents and a student tour guide were hospitalized after an apparently rain-soaked tree fell on them at Vanderbilt University on Monday, a school spokeswoman told NBC News. The unlucky visitors and their guide were part of a larger group of 120 students and parents who were touring the grounds on Monday, the Nashville, Tennessee-based university said in a statement. After attending a morning “information session” at Vanderbilt’s Old Gym, the statement said, the group gathered at a traffic circle outside the building. While they were waiting for the tour to begin, a large hackberry tree on the school’s “Alumni Lawn” toppled over, injuring 10. The school described their injuries as non-life threatening, and by Monday afternoon, six had been released from Vanderbilt University Medical Center. The remaining four were in stable condition. 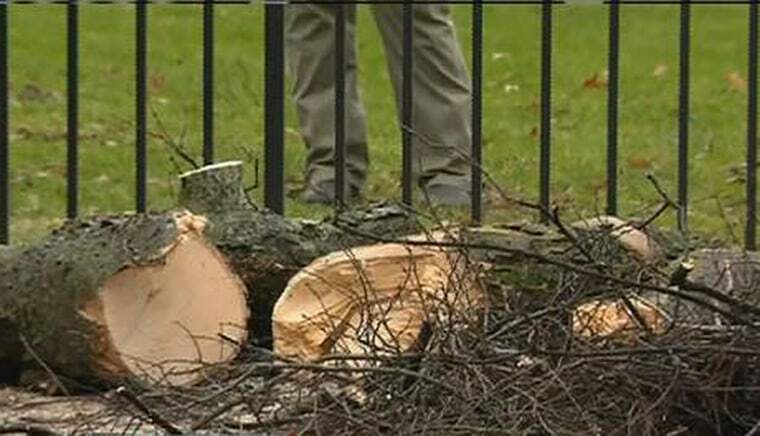 Officials who later surveyed the scene determined that the tree’s roots were still alive, and that it appeared to be “rain-soaked” when it fell, the statement said.